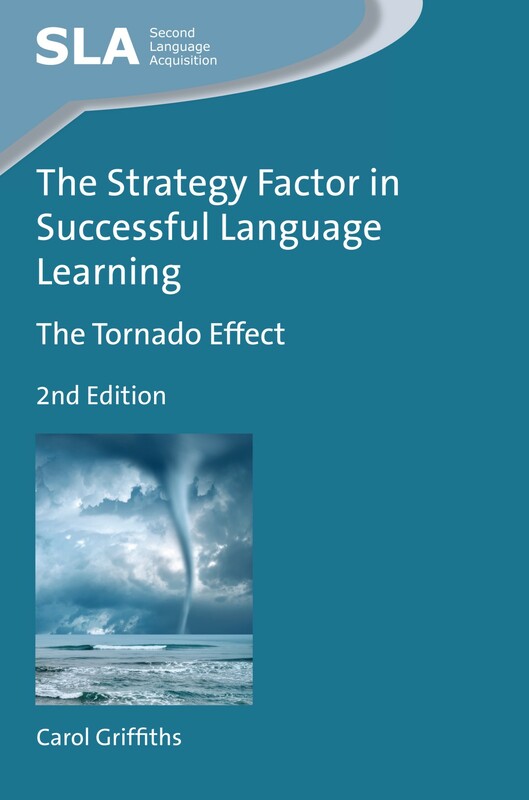 We recently published the second edition of The Strategy Factor in Successful Language Learning by Carol Griffiths. 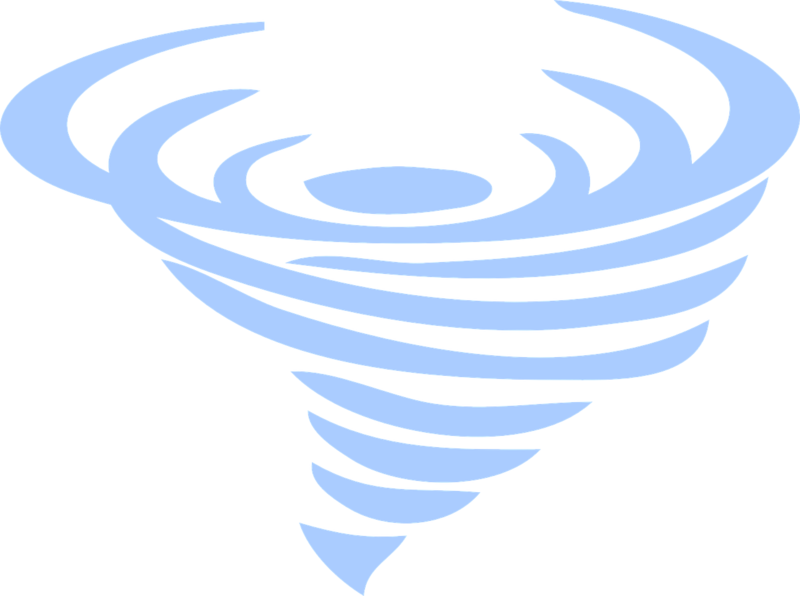 In this post Carol explains how the new edition builds on the first and introduces us to the new concept of “The Tornado Effect”. The existing literature has been updated, since quite a lot has been written in the five years since the first edition was published. The conceptual perspectives have been refined and extended. The issue of strategy definition has been tackled again, and some adjustment made in light of the ongoing debate. The underlying theory has also been re-examined and extended, along with issues of strategy classification. Issues of strategy effectiveness have been considered, especially in light of contextual, target and individual differences. And research methodology, which has attracted criticism in the past, has also been addressed, with suggestions added for data collection and analysis. In the section dealing with quantitative perspectives, new studies have been added and the old studies have been re-analysed. In addition, the glossary, which received much positive appraisal in the first edition for its helpful definitions of key concepts, has been updated and extended. 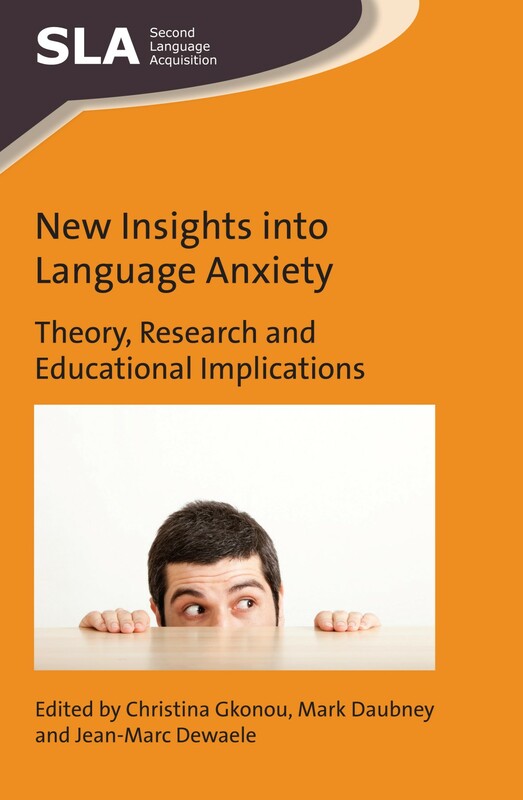 Last month we published New Insights into Language Anxiety edited by Christina Gkonou, Mark Daubney and Jean-Marc Dewaele. 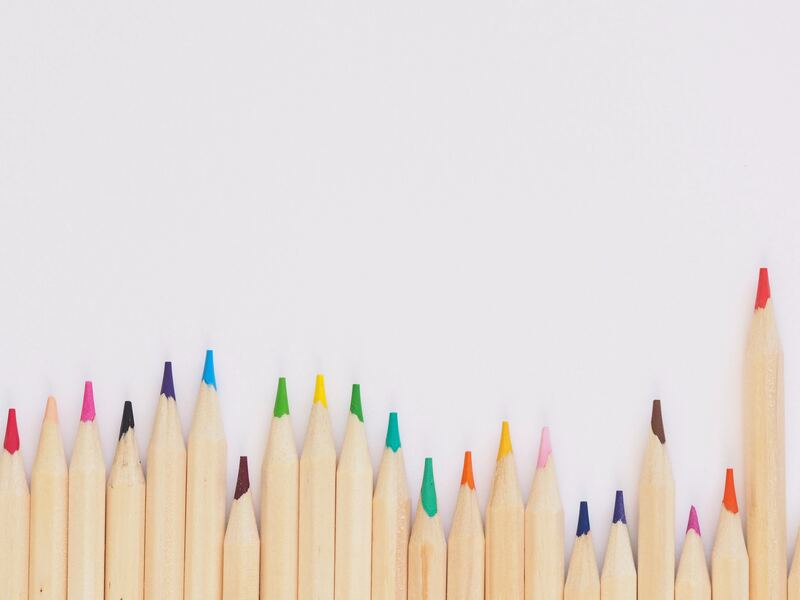 In the last of three posts, one from each of the editors, Mark discusses his personal experience of language anxiety and how we can learn to manage it. Attempts to understand foreign language anxiety (FLA) often resort to the explanatory power of metaphor. Arnold and Brown (1999) liken the vulnerability and anxious efforts of learners endeavouring to express themselves in the target language to moving along in ‘a shaky linguistic vehicle’ (p.9). ‘A map of the terrain’, the title given to their overview of affective factors, in Arnold’s landmark publication, is a fitting one, evoking images of a fragile vehicle tentatively making its way across unchartered territory. In Young’s (1999) bespoke volume on how to reduce anxiety in pedagogical contexts, anxiety, on one page, is rendered in pictorial form as rocks falling towards a startled climber as he or she moves towards the summit of a mountain. In Jean-Marc Dewaele’s contribution to this blog, anxiety is likened to ‘snow’. All these are creative comparisons that allow us to think about anxiety from different perspectives, thereby aiding our understanding of this complex emotion. Another metaphor that might shed further light on anxiety and its influence is to view language learning as a series of interconnected phases on an ongoing journey: stops made along the way to take in the wonderful views before us and to feel proud at the progress made; short breaks taken to catch a breather or to rest after difficult moments; longer breaks to consider one’s options and how to avoid the bad weather ahead or actively seek out sunnier climes; tough decisions to be taken on whether to choose a different route, abandon the journey altogether or to soldier on with determination, selecting other resources and drawing upon the help and good will of fellow travellers to better negotiate the landscape and the prevailing climatic conditions. Whether we, as language learners, are able to transform our shaky vehicle into a sturdier means of transport capable of adapting to these phases of a journey, depends on a number of factors. Not the least of these is how learners (mis)manage their emotional reactions – including anxiety. Because anxiety can lead to a heightened sense of appreciation of the journey, but it can also bring about worry, resignation and a hive of buzzing self-doubts that may significantly hinder or bring our journey to a sudden halt. It ‘depends’ because, like snow, anxiety is truly ‘slippery’. As a successful language learner, but someone who has experienced language anxiety, I am familiar with various phases of the language learning journey mentioned above. Indeed, my experience of anxiety first triggered my interest in research. Did my own students – future EFL teachers, no less – also have these perplexing, uncomfortable feelings – especially when speaking the target language? And if they did, how could I help them to overcome such discomfort? I set about trying to find out. A significant number of teachers did, indeed, experience FLA, so one myth that can be dispelled is that proficient learners cease to experience FLA. Nonetheless, it remains vital that learners starting out on their journeys receive informed support on how to guide their vehicles around emotional ‘potholes’. To continue with metaphor, my experience of anxiety was, at times, like getting a flat tyre, literally a deflating experience that often punctured any sense I had of making any progress. There I was, left on the side of the road and waiting for help, while other cars zipped by. During other periods, however, anxiety seemed to be the key factor underlying my desire to improve. I was determined to patch up my own car and catch up with the others. It helped me to reflect on aspects of my own learning and teaching beliefs, and I came to realise, in a deeper sense, how language learning is much more than learning a new code with which to communicate. At times like these, learners often need to verbalise both their positive and negative emotions, and they can benefit from relativizing their often exaggerated reactions to events with classmates and/or the teacher. Finding a sympathetic ear helps, but self-denial may be the first barrier to overcome. Learners can be reluctant to admit and talk about what they see as their own weaknesses. This is why it is important that teachers are aware of the emotional nature of language learning, and have strategies in their toolbox to help repair ‘faltering vehicles’. Yet FLA is fascinating – precisely because it is slippery and complex. Talkative learners may be anxious, reluctant speakers may not be. While anxiety is a negative emotion, can it have positive as well as negative effects? The causes of anxiety are not singular or clearly identifiable, and the experience of anxiety leaves us unsure, dogged by uncertainty as to what exactly is coming our way and why. Unlike the falling rocks, which represent a clearly identified threat, and therefore more accurately capture fear, anxiety often leaves us scanning the road ahead, with a vague sense of foreboding. Anxiety likely arises from the realisation that our L2 means of transport is far less reliable in comparison with our solid and trusty L1 performer. It can leave us frustrated and feeling inadequate in public settings. This is why anxiety is often associated with speaking, but it may also arise when learners are listening, writing or reading. These emotional experiences might be related to one’s own personality, the degree to which you have a healthy relationship with your classmates and/or teacher, whether the classroom activities capture your interest and make the learning experience an enjoyable one, or your levels of motivation and the way you see yourself as a language learner. Or, more likely, the dynamic interplay of all these and other factors. Yet such complexity should not leave us despondent. The most memorable journeys are usually made up of emotional highs and lows. The former often embody the excitement and deep satisfaction of being able to communicate in an L2. Further, language learning is often punctuated with serendipitous events. For example, chance meetings with people – in or outside the classroom – can spur us on to improve our L2 skills. The lows provide for reflection, and can sow the seeds of resilience needed for the long haul. Looking back, these lows can be kept in perspective, and give us satisfaction that we dealt with these and kept on going. They also feed into our knowledge and experience of how to better prepare for the ongoing journey. Getting our linguistic vehicle into shape, then, partly depends on how we deal with anxiety as a companion on our journey. At times, we may experience anxiety as a positive factor, with it keeping us on our toes as we try to achieve our objectives; at others, it may grip us as a negative force, scrambling our thoughts and making it more difficult to keep the car on the road. Its influence will wax and wane. Learning to manage this unpredictable companion in a way that bolsters our confidence and enables us to exert greater influence over how we feel and what direction to take is crucial for us to stay on the right track. Arnold, J., & Brown, H.D. (1999). A map of the terrain. In Arnold, J. (ed.). Affect in Language Learning. Cambridge: Cambridge University Press, 1-24. Young, D. J. (ed.). (1999). Affect In Foreign Language And Second Language Learning: A Practical Guide To Creating A Low-Anxiety Classroom Atmosphere. Boston: McGraw-Hill. For more information about this book, please see our website and check out Part 1 and Part 2 from Mark’s co-editors. 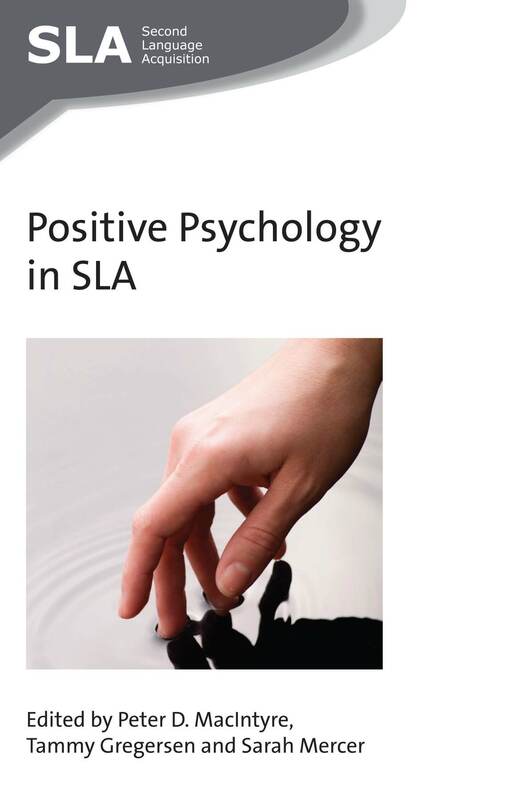 If you found this interesting, you might also like Positive Psychology in SLA edited by Peter D. MacIntyre, Tammy Gregersen and Sarah Mercer. Last month we published New Insights into Language Anxiety edited by Christina Gkonou, Mark Daubney and Jean-Marc Dewaele. 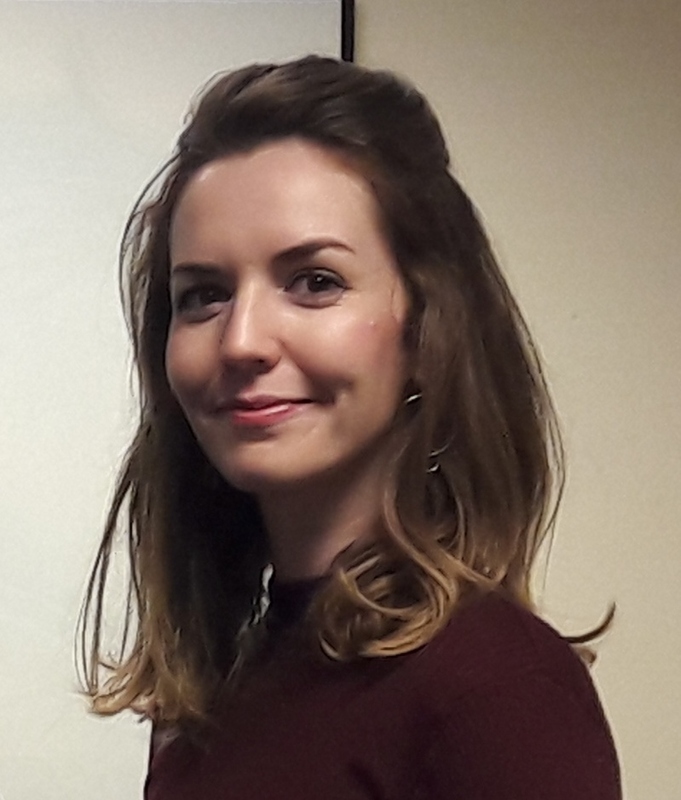 In the second of three posts, one from each of the editors, Christina discusses her personal experience of language anxiety and the inspiration behind the book. My own journey towards attempting to understand language anxiety and emotions began almost fifteen years ago when at school I read the works of Plato and his most famous student, Aristotle. Both suggested that emotions are largely controlled by our mind and are autonomous from physiology and the body. Aristotle in his treatise On the Soul introduced the notion of ‘catharsis’, which highlights the importance of undermining negative and unpleasant emotions, a process which would lead to the purification of the human psyche. Later on, in reading Sigmund Freud’s Introductory Lectures on Psycho-Analysis, I came across the following inspirational quote: “There is no question that the problem of anxiety is a nodal point at which the most various and important questions converge, a riddle whose solution would be bound to throw a flood of light on our whole mental existence”. But what is language anxiety in particular? How best could we possibly theorise and conceptualise language anxiety? How pernicious could it be for learners and teachers? And how could it be mitigated in the best possible way to ensure academic achievement and personal well-being? My research along with my experience first as language learner, then as language teacher and currently as teacher trainer has offered me invaluable insights into these questions. I have come across students who are paralysed with anxiety, students who feign their true emotions such as anxiety (whilst also undertaking emotional labour in class), trainee teachers who are anxious about the lessons they will deliver thus facing nervous breakdowns in class, experienced teachers who develop their own strategies to deal specifically with highly anxious learners in their classes, and so forth. All these situations depict anxiety as a negative emotion; and it truly is a negative emotion which takes its toll on learners’ and teachers’ psychological well-being. However, we should not be painting a totally gloomy picture of language anxiety; although it is a negative emotion, there are individuals who after long-standing battles with anxiety, have managed to significantly control it and overcome it. Or according to the Aristotelian view on negative emotions and the recent upsurge of interest in positive psychology in SLA, they have managed to turn a negative situation and/or emotion into a positive one and reap the benefit of adopting a different mindset. And now the big question emerges: So what? How could all this inform learning? Looking at the psychological dimension of our classrooms will help us to understand how we teach and how our students process information and learn. Emotional self-awareness and self-realisation are key factors in regulating anxiety. Learners should be given opportunities to discuss their anxieties in class, share their concerns with their classmates and the teacher and thus feel a stronger sense of community within their immediate academic setting. If learners (and individuals in general) realise that it is not just them who struggle emotion-wise but others are also emotionally challenged, they will most likely be relieved! They would also need to be told explicitly that anxiety can be overcome. As Jean-Marc Dewaele suggests, anxiety is like fresh snow: you can ski over it, it is soft so even if you fall you won’t get hurt, and if there are any icy patches along the way you might slip or you might find a way to avoid such obstacles. You will, however, manage to ski down the mountain in the end and in any case you won’t be expected to ski steep slopes right from the start! Anxiety is a pervasive affliction but is often misunderstood. We should not be looking just at its biological dimension, but also bear in mind that it fluctuates and is largely context-bound and complex. All these points and many more are addressed in our recent anthology, New Insights into Language Anxiety, which we as editors started compiling at the international conference, Matters of the Mind: Psychology and Language Learning, held in Graz, Austria, in May 2014. We were lucky enough to meet all our illustrious contributors at the conference and discuss the book. We hope that our blog pieces will entice you to read the book and better understand language anxiety through the fresh perspective that the book takes. For more information about this book, please see our website and keep an eye out for part three from Christina’s co-editor, Mark Daubney. If you found this interesting, you might also like Positive Psychology in SLA edited by Peter D. MacIntyre, Tammy Gregersen and Sarah Mercer. This autumn we are publishing Sociolinguistic Variation and Acquisition in Two-Way Language Immersion by Rebecca Lurie Starr. The book explores how children in a diverse language immersion school environment negotiate language variation and acquire sociolinguistic knowledge. As language teachers and learners all know, learning a language is not just about mastering vocabulary and grammar. Native speakers of a language also understand how to phrase things appropriately in different situations, and have an awareness of how different types of people are likely to speak – what types of language use patterns sound educated, feminine, casual, and so on. These sorts of competencies, referred to as communicative competence and sociolinguistic knowledge, are normally acquired by native speakers through everyday interactions in a community of other native speakers. For learners studying a second language, particularly in a school environment in which their exposure to native speakers is limited, acquiring this sort of competence is a daunting task. This challenge may be even greater for young children studying a second language, as they are still developing an understanding of their social world in their native languages. How can a child whose only access to a language is via school come to understand the connections between language features and social meaning? Do children in this situation use their second language to reflect and construct their social identities? My book focuses on children’s development of sociolinguistic knowledge in two-way language immersion, an increasingly popular educational model in the US, in which children from different language backgrounds spend part of the school day learning content via each language, with the goal of becoming bilingual, biliterate, and bicultural. One of the theorized benefits of two-way immersion relative to conventional language immersion is that students have the opportunity to receive native-speaker input from their classmates who speak the other language at home; this expands the potential range of situations in which children are exposed to a second language, perhaps helping them acquire greater communicative competence. The book presents a case study of first and second graders in a Mandarin-English two-way immersion program in the US, in which some children speak Mandarin Chinese at home, some speak English, and others speak a third language. As Eliane Rubinstein-Avila has pointed out in her work on Portuguese-English two-way language immersion, the assumption of “two languages” in these two-way programs is problematic: often, this terminology obscures a significant range of dialectal variation within each language present in the program. This is particularly the case for two-way language immersion programs involving widely-spoken heritage languages such as Mandarin Chinese, in which immigrants from a variety of regions (Taiwan, Northern Mainland China, Malaysia, etc.) and their descendants come into contact. In these programs, it is not only students who may speak in a range of dialects, but teachers as well; in fact, some teachers may find themselves teaching students who are native speakers of a more prestigious dialect, or using teaching materials from a dialect with which they are unfamiliar. In this work, I investigate how teachers tackle this sociolinguistically perilous situation, as well as what students learn from how their teachers—and classmates—use and discuss language variation. My research examines how teachers and students in this dialectally-diverse Mandarin-English program develop shared practices and navigate sociolinguistic variation within each language. I analyze three sources of sociolinguistic information in children’s school environment: teacher language use, classmate language use, and metalinguistic discourse (focusing on corrective feedback initiated by both teachers and students), bringing together quantitative variationist analysis and ethnographic observations. I argue that, rather than mirroring the language use patterns of their teachers or classmates, children who are learning a second language in two-way language immersion can and do exploit sociolinguistic information in their environment to acquire a more standard language variety than those used by the native speakers around them. To put it more plainly, these children are avoiding acquiring the accents used by their teachers and classmates. Over the course of my analysis, I provide insight into how and why children might be doing this, and discuss how two-way language immersion programs function as communities of practice in which members develop conventions for how language is used, corrected, and negotiated. 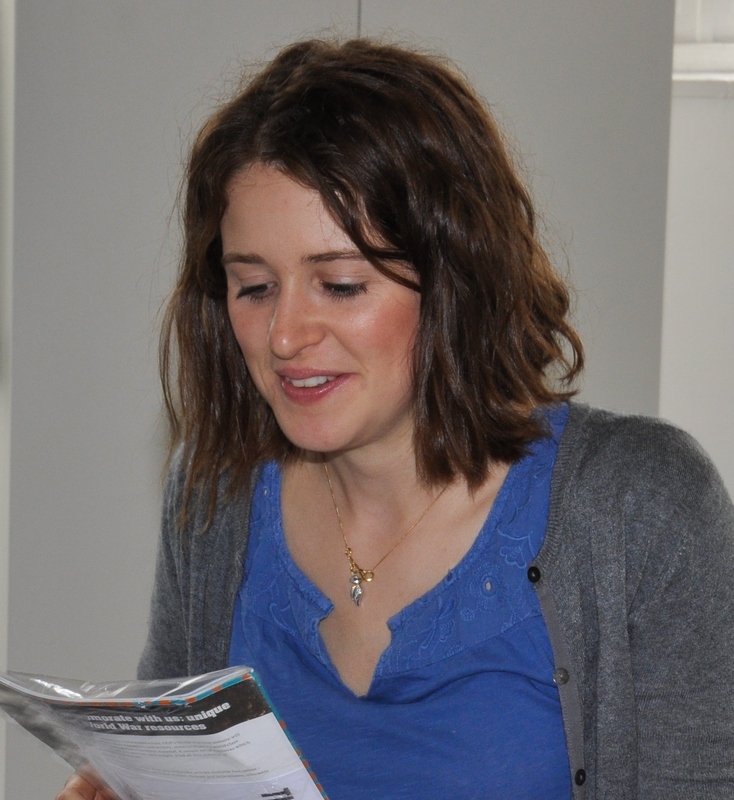 For more information on Rebecca’s book, please see our website. You might also be interested in some of our other titles on immersion education: Immersion Education edited by Diane J. Tedick et al, The Sociolinguistic Competence of Immersion Students by Raymond Mougeon et al and Pathways to Multilingualism edited by Tara Williams Fortune and Diane J. Tedick. This autumn we are publishing From Principles to Practice in Education for Intercultural Citizenship edited by Michael Byram, Irina Golubeva, Han Hui and Manuela Wagner. In this post, the editors describe how the book came together. 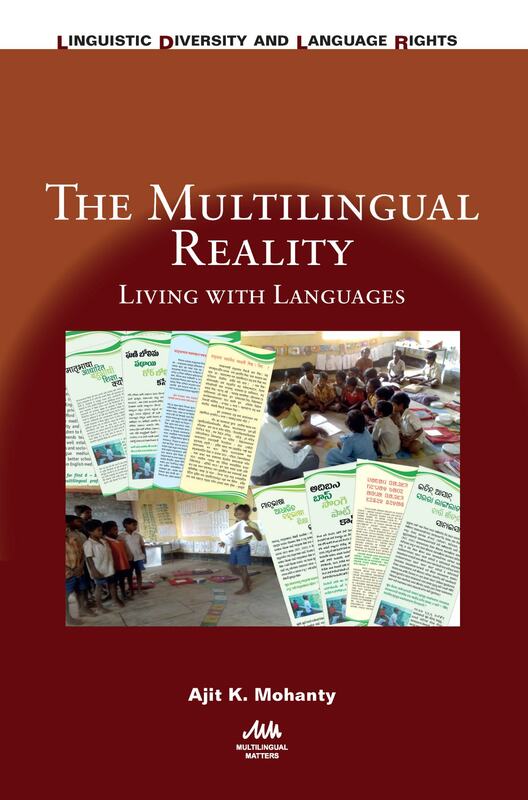 This book is the outcome of several years of collaboration among language teachers and researchers interested in the integration of language and culture in their teaching. We call it teaching ‘intercultural communicative competence’. We are part of a much bigger group called ‘Cultnet’ who have supported our work in many ways. The concept of teaching intercultural communicative competence is not new. The ideas have circulated among language teachers for more than 20 years and are beginning to take root in curricula, in textbooks and in teaching. What is new is the introduction of ideas from citizenship education. Citizenship education is attractive because it ensures that learners do not only learn about citizenship but also get directly involved in their community as they are interacting in the classroom and in communities. This is what we introduce into language teaching and learning. However, citizenship education is inward-looking. It prepares people as members of their own societies and communities i.e. a national perspective. In contrast, foreign language teaching is international in its outlook, teaching the languages and cultures (the ‘languacultures’) of other countries. So combining citizenship education and foreign language education leads to a focus on ‘intercultural citizenship’ (not ‘international citizenship’). Intercultural citizenship means language learners at school and university – from elementary/primary school to advanced learners specialising in languages – can work together on citizenship problems and plan together a response which is not inward-looking but benefits from a broader perspective. For example, the book has chapters describing how young learners in schools in Denmark and Argentina work together on environmental issues, or older learners in England and Argentina work on historical and political issues which are highly sensitive, and gain a new understanding through their intercultural, cross-Atlantic cooperation. All this is facilitated by use of the internet. The book also explores how learners and teachers understand intercultural citizenship. There are chapters from China and Korea as well as the USA, which describe how learners think they can be ‘active in the community’ or ‘global citizens’, a much-used term in education and beyond. We think this approach excites learners and gives them something important and intellectually – and sometimes emotionally – demanding to do with their languages, in the here and now. We have seen this happen among older and younger learners, with advanced and with modest levels of language competence. They find themselves ‘making a difference’ in their communities in ways they would not have thought of if they had not worked with people in other countries and continents. At the same time their language competence improves – this happens because they are concentrating on what they can do and not only on the language they are using to do it. If you would like more information about the book, please see our website. This month we are publishing Danya Ramírez Gómez’s new book Language Teaching and the Older Adult: The Significance of Experience. In this post, she introduces us to her own experiences with language teaching and the inspiration for the book. The first time I taught a language to a group of adults over 60 was more than six years ago. And it was a disaster. I had previously taught adults of other ages, and I thought I knew what to expect. However, during the lesson I realized that the material, my approach, and my way of reaching these students were inadequate. They were different and I was unable to engage them as I had envisioned. I tried to understand why; I blamed myself, the material, the weather and, lastly, the students: “Well, they are older”– I told myself. Fortunately, I soon realized that if all my students have a poor learning experience, it can’t be them, it must be me. I looked for information and materials that could help me teach these learners better and found virtually nothing. It was then that I considered researching this topic and so I asked colleagues who worked with older learners whether they thought this useful. I received all sorts of responses, but most can be summarized by a colleague’s piece of advice. He said: “Talk to them like they were children.” That was the last straw. My book, Language Teaching and the Older Adult: The Significance of Experience, is exploratory and comprehensive. Exploratory, because the literature on the topic is scarce, and comprehensive, because it touches a myriad of pertinent fields and thus provides an informed context in which to start a discussion about older learners. Also, the claims made in this book are based on a multi-method analysis that should appeal to researchers in foreign language learning, and since teachers will probably desire something more practical, the book includes recommendations and checklists that I hope will make lesson planning more manageable. The experiences described at the start of this post generated one of the most relevant aims of this work: to question our assumptions about language learning in old age. We all hold these assumptions; teachers, learners, researchers, administrators, the laymen. But how can we advance in foreign language geragogy – as I have taken the liberty to call this field – if we are constrained by our beliefs? Questioning our assumptions is the first step to understanding older adults as students of foreign languages and enhancing their learning process. When they hear what I research, many people ask me whether I like older adults. Well, not particularly. I like them as much as I like anybody else. What drove the creation of this book was more a sense of responsibility to the students – to which many teachers can probably relate – and the dread of facing more lessons without a clear idea of the effects of my decisions as an instructor. Besides that, what motivated me to focus on this issue was the idea that when I am in my silver years, I want to be able to learn French, I want to be unencumbered by excuses, and I would certainly want to be seen by my instructors as the capable adult I hope to be. For more information about this book, please see our website. You may also be interested in another of our books on the topic Adult Learning in the Language Classroom by Stacey Margarita Johnson. This month we published Conceptualising Integration in CLIL and Multilingual Education edited by Tarja Nikula, Emma Dafouz, Pat Moore and Ute Smit. In this post, the editors explain how the book came together. This book is concerned with the educational practice in which a language other than the students’ first language is used as the language of instruction. The main entry point is content and language integrated learning (CLIL), a form of education which has been popular in Europe since the 1990s and is now gaining ground globally. When looking at existing research on CLIL, it is clear that the interest has mainly been directed towards the effects of CLIL on learning, especially on target language learning. In this book, we argue that more attention needs to be paid to content and language integration, which is, after all, a core concern in CLIL. It needs to be better conceptualised and problematised to provide – among the heterogeneity of forms of implementation of CLIL and other types of bi- and multilingual education – guidelines for practitioners to support the simultaneous teaching and learning of content and language. This book consists of 11 chapters. It is the outcome of a project called Language and content integration: towards a conceptual framework (ConCLIL) based at the University of Jyväskylä, funded by the Academy of Finland, in which researchers from Finland, Austria, Spain, the UK and Canada joined forces to come to a better understanding of integration. The ConCLIL project involved us continuously discussing, debating and exploring what we mean by integration and realising in the process that such discussions often lead to challenging and questioning the often taken-for-granted notions of language, content and their learning. The opportunity for dialogue and collaboration that the project provided through team members’ research visits to Jyväskylä has been highly valuable, and we hope that some of the sense of this dialogue is also reflected in the volume. Our first face-to-face meeting as the ConCLIL team took place in Jyväskylä in February 2012, in our woollen socks due to the -29°C winter coldness outside. Since then, we have read, discussed and commented on each other’s chapters in several meetings and have learned a lot in the process. Staying warm in the first team meeting. Photo by Pat Moore. The main message conveyed by the volume is the need to recognise the complexity of integration both in research and practice and to escape the duality of content and language as separable entities. In other words, integration is not a matter of neat binaries and distinctions but a multi-layered web of influences, something akin to the interlacing woollen threads depicted on the cover of the book. Because of its complexity, integration has implications at various levels of educational practice. In this volume, we focus on three interconnected perspectives, those of a) curriculum and pedagogic planning, b) participant perspectives and c) classroom practices. The first refers to decisions that need to be made on what will be integrated (which subjects), and with what aims, and also to the teachers’ need to have conceptual tools to plan integrated teaching. The second orientation highlights how the realisation of any plan is highly dependent on stakeholders’ beliefs and perceptions. For example, a crucial consideration for both research and practice is how CLIL teachers’ views of their role as content and language teachers are informed by their conceptualisations of language and content. Thirdly, integration is eventually a matter of in-situ classroom practices that entail varied opportunities to address content and language interdependence either implicitly or explicitly. We need more knowledge of such processes to understand integration better and to realise it in pedagogical practice. It is obvious that the relevance of content and language integration goes well beyond CLIL. It is central in all forms of bi- and multilingual education, whether called immersion, content-based instruction or CLIL. Such contexts where an additional language is used in instruction may highlight the importance of content and language integration, yet is equally relevant for all education because knowledge construction and display are always both content and language matters. For further information on this book, please see our website. You might also be interested in our other volume on this topic, CLIL in Higher Education by Inmaculada Fortanet-Gómez. 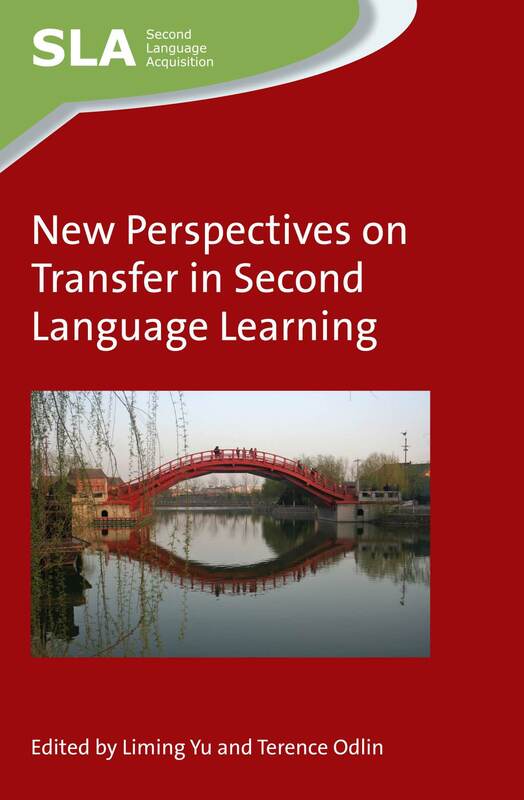 This month we published New Perspectives on Transfer in Second Language Learning edited by Liming Yu and Terence Odlin. 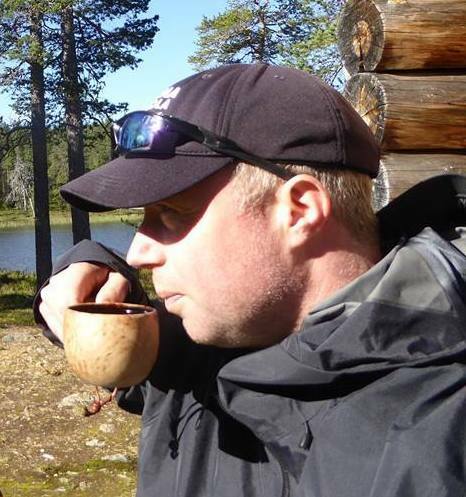 Here, Terence tells us a bit more about language transfer and the issues examined by the book. Language transfer research looks at the influence of one language upon another. When learners try to acquire a new language, the knowledge they already have (as in the knowledge of their native language) can influence what they produce or understand inside or outside the classroom. Consequently, experienced language teachers often seek to understand better how transfer works and what they may do to deal with the reality of such influence. 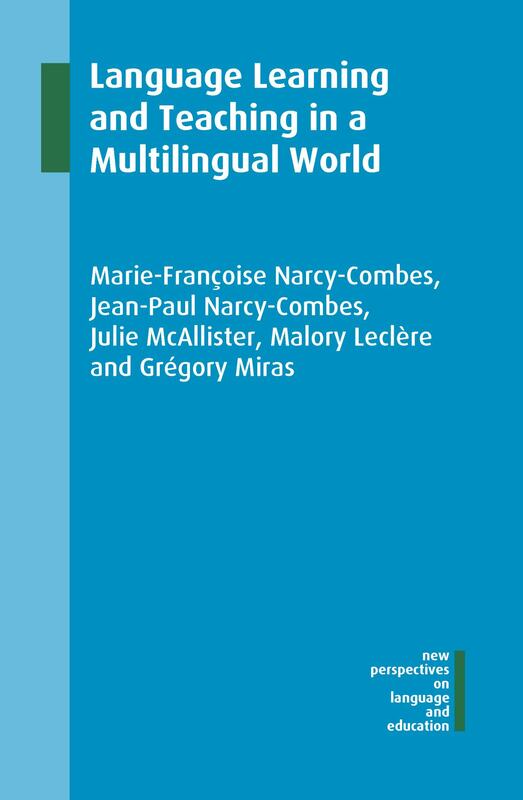 Our volume brings together several innovative studies that shed light on transfer or, as it is also known, cross-linguistic influence. The studies brought together in the book consider such influence in vocabulary, grammar, and pronunciation as well as topics such as comprehension and social setting in relation to transfer. Researchers as well as teachers will find a wealth of new insights on several topics including ones that have long been discussed. For example, the introductory chapter shows that the term transfer itself has had a long history in linguistics and was not introduced, as some conventional wisdom would have it, in the 1950s. The same chapter also provides new insights about the issue of predictions of transfer, offering a more optimistic outlook on the issue than is often found in other discussions. The volume also presents several detailed analyses of transfer involving language contact in China, with most of these studies focusing on the influence of Mandarin on the acquisition of English. However, there is also one study involving the converse type of influence, that is, of L1 English on L2 Chinese. ESL or EFL teachers who are curious about, for example, the prepositional choices made by Chinese students will find an empirical analysis of particular cases, while another chapter investigates why ill-formed sentences such as “The Eiffel Tower sees easily from this window“ often seem acceptable to Chinese students. 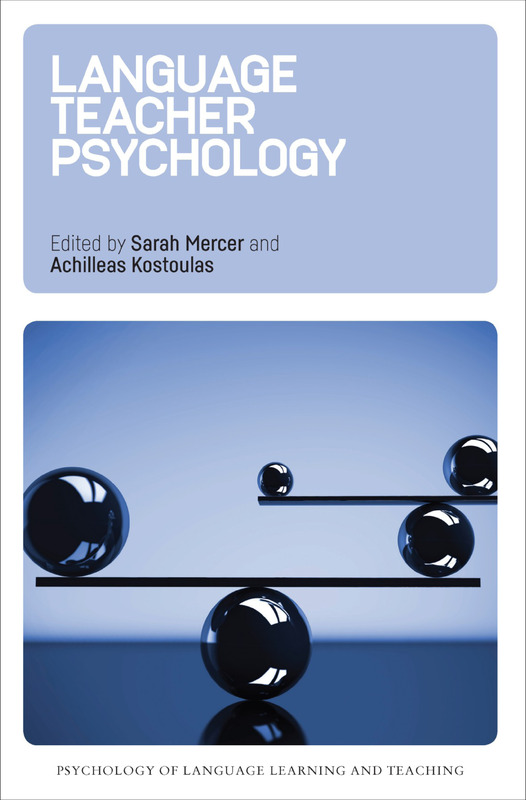 Along with the empirical studies are ones looking at the broader picture, as in Chapter 2 by Scott Jarvis, which reviews (among other topics) some pioneering work using methods such as eye-tracking technology that suggest new insights about cross-linguistic influence. Considering the broader picture from a different perspective, Chapter 12 by Chuming Wang emphasizes the importance of the contexts in which learning occurs. The diverse perspectives of the volume are considered globally in the final chapter (by Terence Odlin), which discusses questions such as whether some linguistic-processing is language-specific. Although it may seem self-evident that people inevitably “think” in English, in Chinese, in Arabic, or in some other language, the notion of language-specific cognitive processes has proven controversial. What is clear, however, is that language transfer has a special relevance to the controversy and the new volume offers much to show that relevance. If you would like any further information about this book please see our website or contact Terence at the address above.